MetalRockNews: Guns N' Roses will announce classic lineup reunion and world tour in a few days? 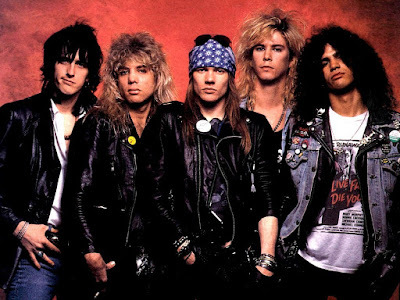 Guns N' Roses will announce classic lineup reunion and world tour in a few days? According to Dish Nation, a reunion tour of the classic lineup of Guns N' Roses is close to being revealed. A music insider said to Dish Nation: "Slash and Axl have verbally agreed to get things together again and reform the original band. The live shows is where they can show the world what they had and also make the greatest earnings." He continued: "Promoters are quietly working away to land opportunities. Details of the reunion are expected to leak out in the next few days. Everyone is expecting huge demand for tickets, but the boys are very humble and are not sure what to expect."